All are welcome to join this important meeting for prospective students and parents. Harrogate Grammar School offers ‘outstanding’ academic provision alongside all the other elements that make post-16 education both successful and enjoyable. We welcome students from other schools into one of the largest Sixth Forms in the country, achieving record-breaking results with an average of 61% of A Level grades being A*-B over five consecutive years. With over 35 subjects to choose from, students are offered support and guidance that enables each individual to achieve their potential. 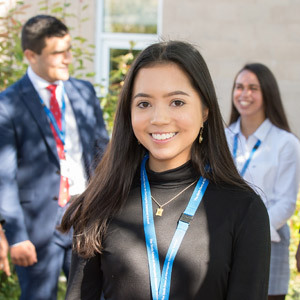 In addition, the Sixth Form provides specialist pathways such as Medical Sciences; Business & Enterprise; Education, Training & Public Services; STEM; Art & Creative Industries and Law. There are significant opportunities for students to develop their leadership skills and participate in a wide range of enrichment activities in preparation for their future. The recently extended Sixth Form facilities and the use of iPads for learning provide a stimulating and inspiring environment for students as they pursue the exciting experience of Sixth Form life. The Sixth Form is easily accessible with bespoke bus services offered from the surrounding areas.. The evening will offer students and parents the opportunity to see a presentation by the Head of Sixth Form and Executive Headteacher, followed by subject presentations, the opportunity to talk to staff and students and to look round the facilities.